Disinfects, cleans, deodorizes and removes deposits in one easy step. 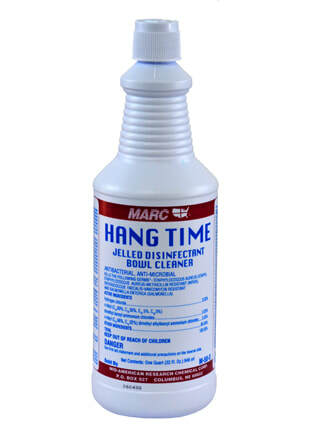 Designed for commercial and industrial use, MARC Hang Time is especially formulated to kill many common germs. It has a pleasant scent and a color indicator. EPA-registered.